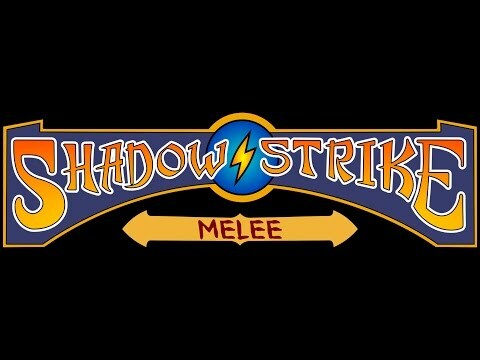 Shadow Strike: Melee társasjáték - Magyarország társasjáték keresője! A társasjáték érték! A Shadow Strike: Melee egy kiváló társasjáték, 3 - 9 játékos részére, az átlagos játékidő rövid, csak 5 - 10 perc. A társast, 10 éves kortól ajánljuk kipróbálni. A játékmenet erősen épít a pakli tervezés és a játékos kiiktatás mechanizmusokra. 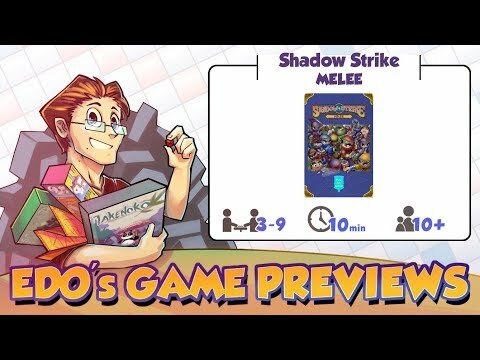 Shadow Strike Melee is a card game for 9 of you and your sneaky friends. All you need to do is knock out your opponents by playing better cards than they do. The catch? 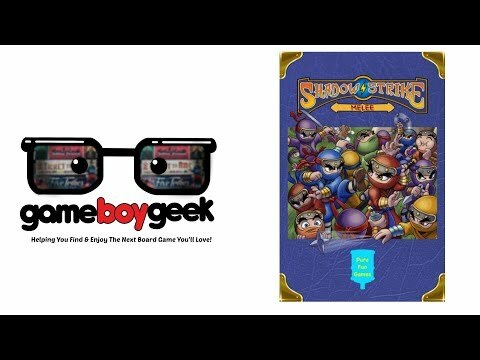 Your cards start facing outward, so only your foes know what cards you have! 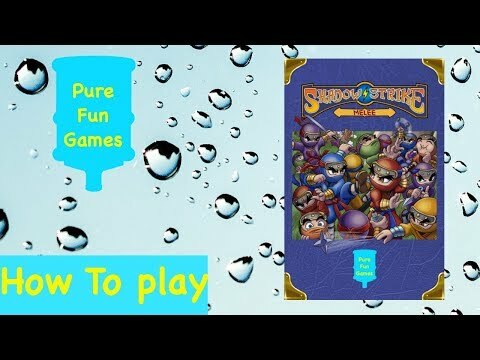 Will you outsmart your ninja rivals and see through their trickery? 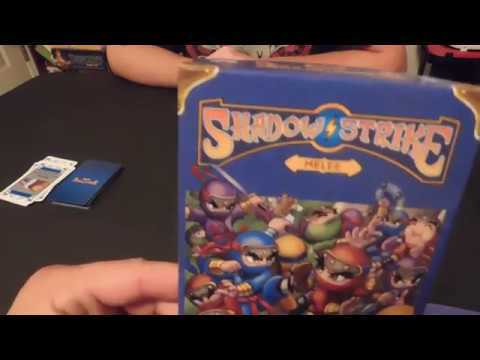 In Shadow Strike Melee, Players hold numbered cards face out so other players can see them. On a player's turn, he chooses an opponent to fight. 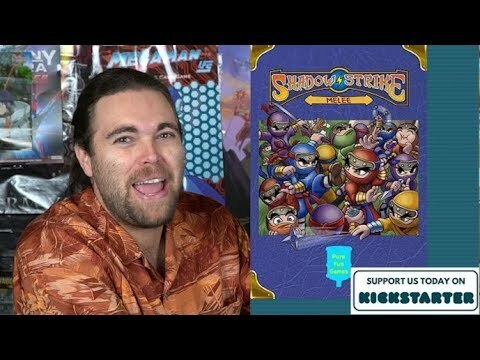 Whoever reveals the lower card loses a life point, but also gets more information about their hand. For each wound received, players turn one card around permanently in their hand. Players may also use special items Like Shuriken and Candy Bars to turn battles in their favor. Whoever is the last ninja standing is the winner.